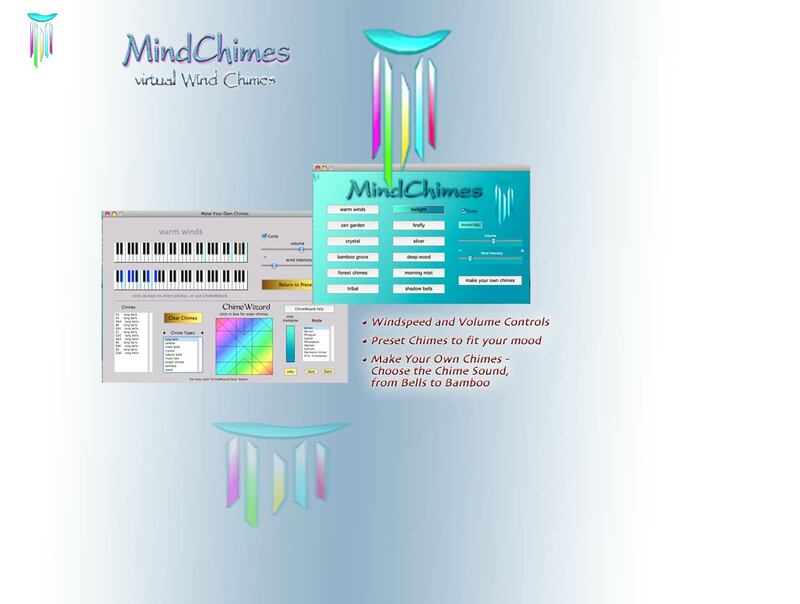 Bring a garden into your workspace - MindChimes is a software program that simulates real windchimes. I wrote it to be as realistic and relaxing as possible. It runs in the background while you use your computer for other tasks. MindChimes is no longer for sale. Thanks to all past customers for supporting MindChimes.